What is a DOM (Document Object Model)? DOM is a W3C (World Wide Web Consortium) standard. It is a platform independent interface that allows programs and scripts to dynamically access and modify the structure of an document. The document can be HTML, XHTML or XML. In the demo, we have a web app that has a DOM based XSS vulnerability. It has a URL based redirection functionality which will be of our interest. 2. 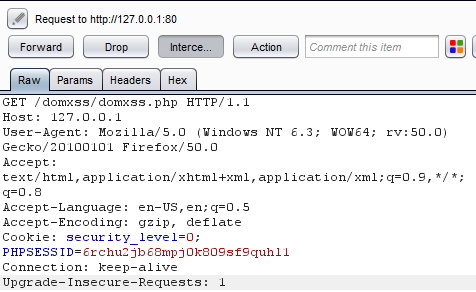 A GET Request goes to http://127.0.0.1/domxss/domxss.php. The request does not contain the URL written after # (i.e. https://securelayer7.net). Browsers consider it to be a client side data and do not send it as a part of request. However, browsers will process it after the response is received. 3. Response is received and the following HTML code gets loaded in web page. And it executes whatever is written after # in the URL. So, we have seen how to find, exploit and patch DOM based XSS vulnerability. Thanks for reading. I hope you have enjoyed it.